Pets are loyal companions and increasingly considered part of the family. They’re also big business. Let’s look at some notable trends that may make the pet care industry a beneficial part of investors’ portfolios. Today, roughly 68% of U.S. households have pets, up from 56% in 1988, according to the American Pet Products Association (APPA). In fact, more households have pets than have children. Baby boomers, the largest generation in history, are entering a new phase of life as empty nesters and retirees. As this occurs, they’re becoming pet owners in greater numbers. A decade ago, only 34% of people over 70 had pets. But as boomers began to cross into their 70s, the percentage quickly jumped to 40%. Over the years, pet owners have dramatically changed the way they think about and care for their pets. A recent Harris Poll reports 95% of owners consider their pets part of the family. They want their pets’ lives to be as happy, healthy and fulfilling as their own, and they’ll likely spare little expense to ensure it. As a result, they’re spending billions on premium-quality foods, state-of-the-art health care, insurance policies, luxury services and more. With this new attitude, pet care has evolved to offer more sophisticated products and services that are being driven by three main factors. We’re humanizing our pets. Pet owners often think of their pets as they would their children. They talk to their pets, bring them along on vacation, modify homes to accommodate them and celebrate pets’ birthdays. Today, pets are true members of the family. We’re “premiumizing” pet care. Pet owners are building an appetite for premium and even luxury pet products. Higher-quality pet food is becoming the norm, with sales of super-premium brands increasing over 9% as sales of value brands decreased 5.7% (2012-2015). 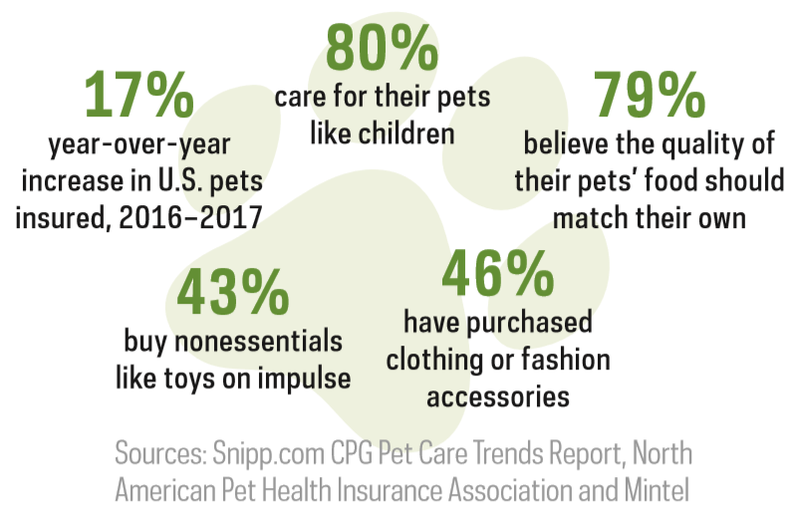 Owners are also indulging pets with non-essentials, purchasing toys or accessories on impulse and spending on pet furniture and clothing—with some even buying designer apparel. We’re providing pets with health care comparable to our own. Advances in veterinary health care are providing meaningful improvement in our pets’ lives. There are ongoing innovations in veterinary treatments, preventative medications, diagnostic and screening tools, imaging (MRIs and other scans), and wellness products and therapies. Owners are willing to pay for these treatments—in fact, it’s estimated that pet owners will spend more than $18 billion on veterinary care in 2018. To offset the expenses, pet owners are also buying health insurance policies. In North America, private health insurance was purchased for more than two million animals in 2017, surpassing $1 billion in premiums. The pet industry spans veterinary pharmaceuticals, diagnostics, product distributors and services, manufacturers of pet food and pet supplies, and online and traditional pet and pet supply stores. Each of these subindustries is responding to the demands of pet owners with continued innovation that’s led to notable growth. 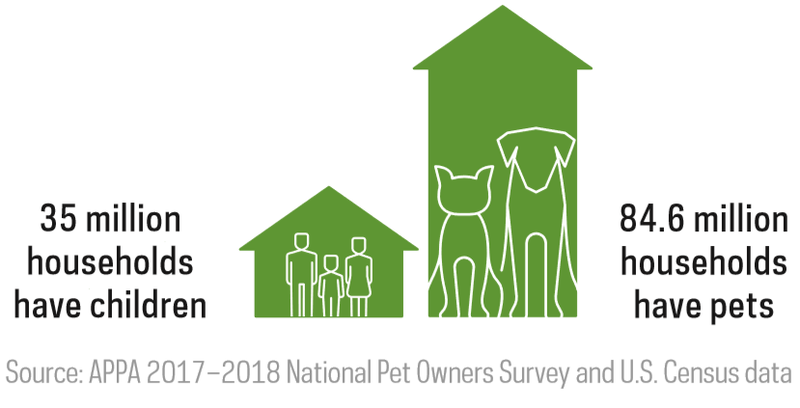 Here in the United States, the pet care industry has seen twice the percentage growth of GDP since 2007, increasing even during the Great Recession. Meanwhile, a similar boom has been building internationally. 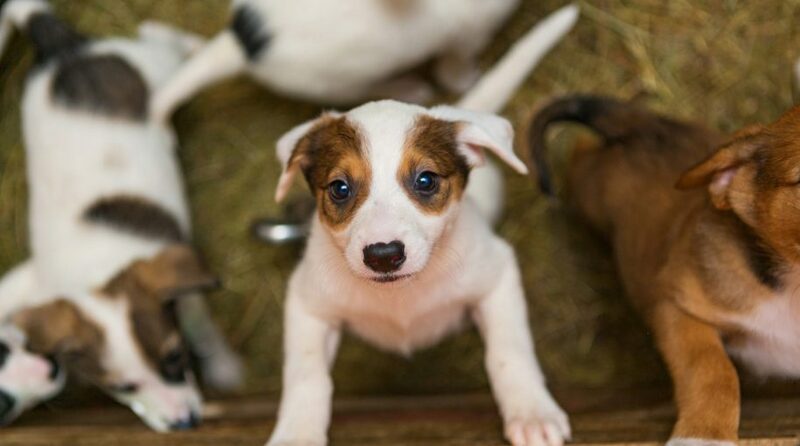 The global pet care industry is expected to grow from $132 billion in 2016 to as much as $203 billion by 2025. Shares of the fund are bought and sold at market price (not NAV) and are not individually redeemed from the fund. Brokerage commissions will reduce returns . Carefully consider the investment objectives, risks, charges and expenses of ProShares before investing. This and other information can be found in their summary and full prospectuses. Obtain them from your financial advisor or broker-dealer representative or visit ProShares.com.